If you need immediate assistance please call us at 206-522-4570. A to Z is a clothing line with a mission: to make clothes for you to love and live in. Utilizing over 20 plus years of experience in the fashion industry, we have created an outstanding line of casuals. 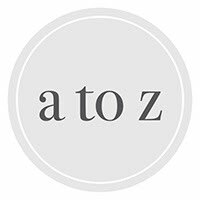 A to Z combines luxurious 100% natural fabric with a style that appeals to the fashion forward with a price point that is irresistible. Our clothes at A to Z will make you look great and feel even better!